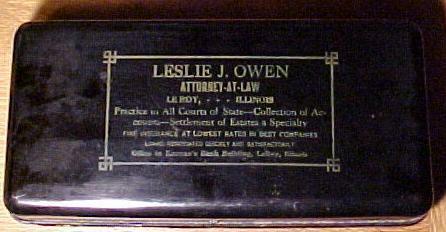 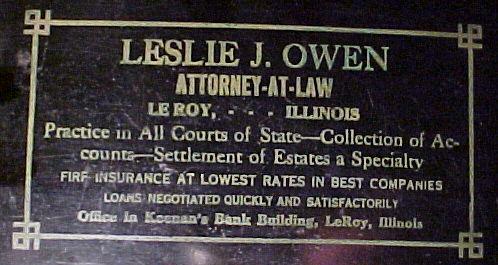 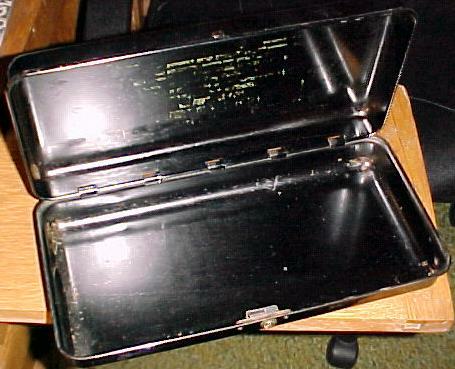 This is a great old Metal Lockbox(11" x 5 1/2").It has advertising for Leslie J Owen on the top,He was a Leroy Illinois Attorney in the 1920s.Note the address is "Keenan's Bank Building"(It closed in 1924). . .